The transcription factor cAMP responsive element-binding protein 1 (CREB1) has a complex influence on behavioural responses to drugs of abuse which varies depending on the brain region in which it is expressed. In response to drug exposure, CREB1 is phosphorylated in the striatum, a structure that is critically involved in reward-related learning. The present study assessed the role of striatal CREB1 and its coactivator CREB-binding protein (CBP) in behavioural responses to psychostimulants. Using the ‘cre/lox’ recombination system, we generated mice with a postnatal deletion of CREB1 or CBP directed to medium spiny neurons of the striatum. qRT-PCR and immunohistochemistry were used to confirm the deletion, and mice were assessed with respect to their locomotor response to acute cocaine (20 mg/kg), cocaine sensitization (10 mg/kg), amphetamine-induced stereotypies (10 mg/kg) and ethanol-induced hypnosis (3.5 g/kg). 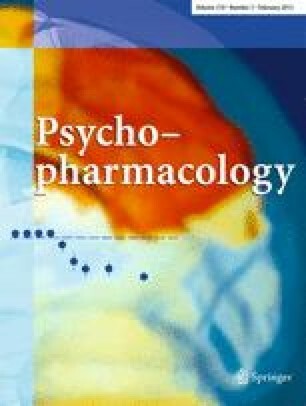 Here we show that CREB1 mutant mice have increased sensitivity to psychostimulants, an effect that does not generalise to ethanol-induced hypnosis. Furthermore, in the absence of CREB1, there is rapid postnatal upregulation of the related transcription factor CREM, indicating possible redundancy amongst this family of transcription factors. Finally striatal deletion of CBP, a coactivator for the CREB1/CREM signalling pathway, results in an even more increased sensitivity to psychostimulants. These data suggest that striatal CREB1 regulates sensitivity to psychostimulants and that CREM acting via CBP is able to partially compensate in the absence of CREB1 signalling. AJL is a senior fellow of the National Health and Medical Research Council of Australia. This work was also supported by the Victocrian Government's Operational Infrastructure Support Program. All experiments performed comply with current Australian laws.